Brendon McCullum, the former New Zealand captain, has announced that the ongoing Big Bash League would be his last as he looks to transition from playing to a career in coaching. McCullum, who called time on his international career in 2016, told his team-mates at Brisbane Heat of the decision after their six-wicket win against Adelaide Strikers on Sunday, 3 February. 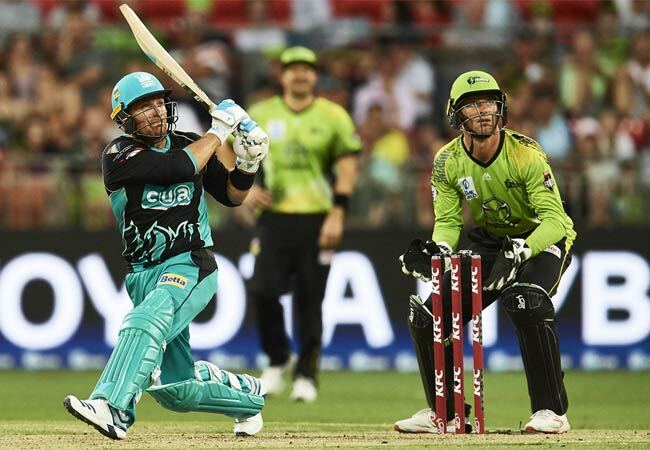 Their clash against Melbourne Stars on Friday is likely to be McCullum’s last in the tournament if Brisbane don’t make it to the semi-finals – they are currently placed fifth, and need a few results to go their way to advance. McCullum, however, will continue playing in other T20 leagues the world over before beginning his career as a coach. “I will continue to play T20 cricket in 2019 in various competitions around the world and will then look to transition into a coaching career,” McCullum said in a statement. McCullum, 37, has been associated with Heat since 2011, when he was a foundation signing. He’s been a regular for the side since 2016, and has scored 920 runs in 34 matches, including nine half-centuries. “I have absolutely loved playing for the Heat. The fans have been amazing with their support and I have enjoyed seeing the pleasure they get from coming to our matches and having fun,” McCullum said.